Tankless Water Heater Installation in Paradise Valley, AZ is a great way to heat water efficiently. They heat water directly without using a storage tank. Cold water travels through the pipe and is then heated by either a gas burner or electric element. They have a lot of parts and controls. Therefore, it is often preferable to use a professional plumber to install a tankless heater as opposed to doing it yourself. Tankless water heaters typically need larger doameter gas lines than regular water heaters. Professional plumbers will usually use special union connector sets for the supply of water. First, the plumber will turn off the main water line. They must also disconnect the water line from the old water heater. There will probably be some remaining water, so they use buckets for spills. Then they have to disconnect the heat source from the old water heater. For propane, tjey close the supply valve. For an electric water heater, they unplug the heater from the wall. Next, they will dispose of the water heater properly. They must follow legal guidelines. 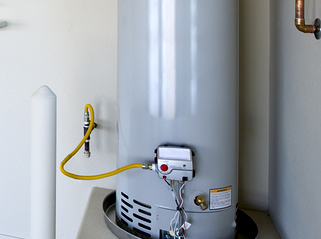 They also follow legal guidelines in determining the best water heater. They mount the tankless water heater on the wall carefully. Finally, they hook up the connections. If the homeowners have gas, they will put in ventilation ducting. First, they hook up the main water supply line. Next, they hook up the heat source, either gas or electric. For gas, they follow the manufacturer's instructions to light the pilot light. The advantage of a Tankless Water Heater Installation in Paradise Valley, AZ is that you can enjoy an endless stream of hot water. Because you do not use a storage tank, you are not limited to using only the amount of hot water in the tank.